Is There a Connection Between Reviews and Ranking? How much weight does Google give to reviews and ratings in local search rankings? Since reviews are one of the first things you see when you search for businesses on Google Maps, you’d expect to find a correlation. But with so much other mobile data going into local rankings, we’ve only been able to speculate. Till now. A recent study from BrightLocal suggests that there might be a correlation. 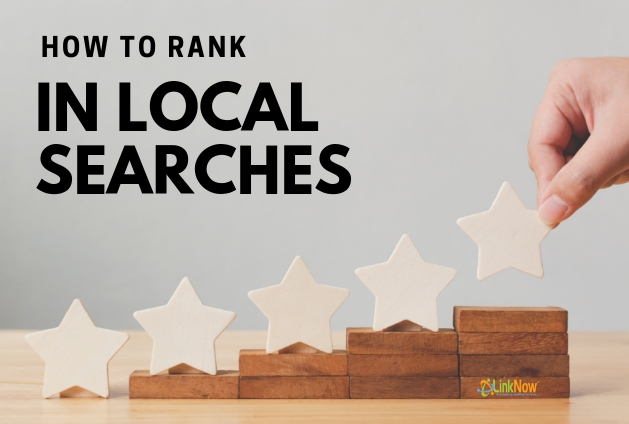 Join us as we delve into the connection between ratings and rankings in local search. Overall, businesses in the top 10 positions had an average of 4.42 stars. All of this bodes well for businesses looking to drum up some extra leads with great reviews. One thing to keep in mind, however, is that 61% of local businesses have an average rating of between 4 and 5. This means that the competition is strong on Google—fall below 4 stars and you could be in trouble. One of the surprising things the study found was that about 20% of businesses in the top 1-3 positions don’t have any reviews at all. That means that while there does appear to be a correlation between ratings and rankings, it’s unlikely to be a cause-effect relationship. The findings tell us that while reviews are an important part of ranking, there are many other factors that go into it too. We can say that you’re more likely to rank well on Local and Maps searches if you have lots of good reviews. But we can’t say that your ranking is caused by those reviews. Because Google’s search engine can process so much information, we believe that it’s time to forget about finding a cause-effect relation that will unlock your way to the top position. While reviews (and reputation management) are definitely important ranking factors, establishing a trustworthy online presence requires a multi-pronged approach. We believe that the reason positive reviews are correlated to high rankings is that they indicate to both Google and Google’s users that a business can be trusted. Notice however that many of the other ranking factors listed above also point to trust as an important factor in local ranking. For example, alongside good reviews, you should have quality images that show Google and your potential clients that your products and services are as good as you advertise. You should have business listings with accurate information about your business. You should have people talking about you and you should be talking about yourself. You should use accurate keywords and categories to describe your business so that it’s clear what you’re selling. The main takeaway from all this is that it’s important to think of your ranking on the SERP, Google Local, and Google Maps, as the result of your overall presence in the online ecosystem. Quit looking for the ‘thing you’re doing wrong’. Work on establishing a trustworthy online presence with every tool available at your disposal! If you’re feeling overwhelmed, don’t worry—you’re not alone. Just get the professionals at LinkNow Media on your side. Our SEO experts can help you build an SEO strategy that’s perfect for your business. What Are Yelp and Google Doing to Fight Fake Reviews?